Lunazul is Spanish for Blue Moon. It is the "Blue Moon" of Lunazul that beckons the spirit and independence of the majestic wolf that lives inside every tequila consumer. 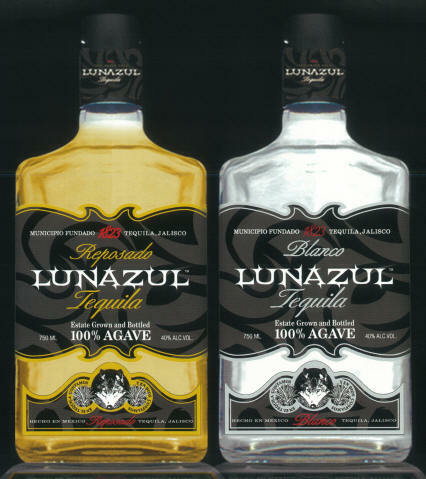 A single taste reveals why Lunazul is a fitting tribute to Tequila, Jalisco, Mexico, where tequila is made. La Certeza tequila's are 100% estate-grown and crafted premium blue agave. With a spicy nose, hints of hot pepper combined with a very smooth mint eucalyptus freshness. Smooth vanilla notes with a classic, earthy agave taste and a smoky finish.